The Tuesday Tussle; the biggest illustrators squaring off against pop's biggest icons - icons you thought they'd never touch. 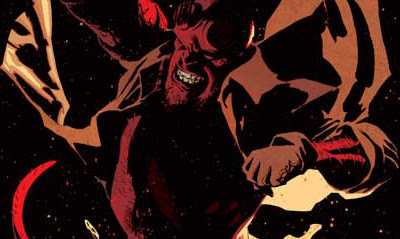 This week Adam Hughes, the man whose rep is staked on drawing beautiful babes, tackles the coat wearing demon with an enlaged fist; Hellboy. Fight! WINNER: Adam Hughes. 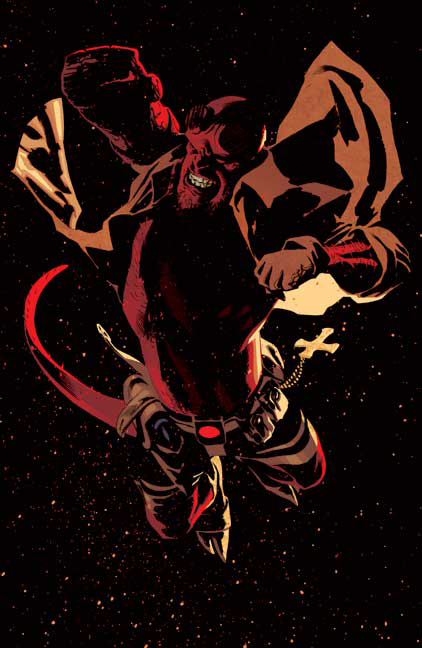 It takes a skilled hand to render Hellboy in the shadows and retain your own style over the trademark look created by creator Mike Mignola, but Adam does it flawlessly. Whoever Hellboy is grimacing at, they're two seconds off a whole world of hurtin'. More Adam Hughes pieces, right after the jump.